1,761 people read this post. Here are some etiquettes of dua to increase your chances of it being accepted . Du’aa’ is very important in Islam, so much so that the Prophet (peace and blessings of Allaah be upon him) said: “Du’aa’ is worship.” Narrated by al-Tirmidhi, 3372; Abu Dawood, 1479; Ibn Maajah, 3828; classed as saheeh by al-Albaani in Saheeh al-Tirmidhi, 2590. 1 – The one who is making du’aa’ should believe in Tawheed with regard to the divinity, Lordship, names and attributes of Allaah. His heart should be filled with Tawheed. 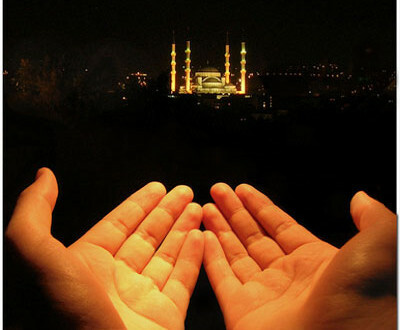 Dua cannot be directed to an idol , a dead or an alive person – no matter how pious he may be . Du’aa’ is worship, as the Prophet (peace and blessings of Allaah be upon him) said, so sincerity (ikhlaas) is a condition of its being accepted. Don’t make dua with a wandering mind or a careless attitude . 4 – We should praise Allaah as He deserves before we call upon Him. Then another man prayed after that, and he praised Allaah and sent blessings upon the Prophet (peace and blessings of Allaah be upon him). The Prophet (peace and blessings of Allaah be upon him) said: “O worshipper, ask and you will be answered.” Saheeh al-Tirmidhi, 2765, 2767. 5 – Sending blessings upon the Prophet (peace and blessings of Allaah be upon him). 6 – Facing towards the qiblah. al-Nawawi (may Allaah have mercy on him) said in Sharh Muslim: This shows that it is mustahabb to face towards the qiblah when making du’aa’, and to raise the hands. 7 – Raising the hands. Abu Dawood (1488) narrated that Salmaan (may Allaah be pleased with him) said: The Messenger of Allaah (peace and blessings of Allaah be upon him) said: “Your Lord, may He be blessed and exalted, is Kind and Most Generous, and He is too kind to let His slave, if he raises his hands to Him, bring them back empty.” Abi Dawood, 1320. The palm of the hand should be raised heavenwards, in the manner of a humble beggar who hopes to be given something. Abu Dawood (1486) narrated from Maalik ibn Yasaar (may Allaah be pleased with him) that the Messenger of Allaah (peace and blessings of Allaah be upon him) said: “When you ask of Allaah, ask of Him with the palms of your hands, not with the backs of them.” Abi Dawood, 1318. A person should ask his Lord for whatever he wants of the good things in this world and the Hereafter, and he should beseech Allaah in du’aa’, and not seek a hasty response, because the Prophet (peace and blessings of Allaah be upon him) said: “The slave will receive a response so long as his du’aa’ does not involve sin or severing of family ties, and so long as he is not hasty.” It was said, “What does being hasty mean?” He said: “When he says, ‘I made du’aa’ and I made du’aa’, and I have not seen any response,’ and he gets frustrated and stops making du’aa’.” Narrated by al-Bukahari, 6340; Muslim, 2735.
because the Prophet (peace and blessings of Allaah be upon him) said: “No one of you should say, ‘O Allaah, forgive me if You wish, O Allaah, have mercy on me if You wish’; he should be firm in his asking, for Allaah cannot be compelled.” Narrated by al-Bukhaari, 6339; Muslim, 2679. 12 – Saying du’aa’s three times. Al-Bukhaari (240) and Muslim (1794) narrated that ‘Abd-Allaah ibn Mas’ood (may Allaah be pleased with him) said: “Whilst the Messenger of Allaah (peace and blessings of Allaah be upon him) was praying at the Ka’bah, Abu Jahl and his companions were sitting nearby. They had slaughtered a camel the previous day, and Abu Jahl said: “Which of you will go and get the abdominal contents of the camel of Banu So and so and put it on the back of Muhammad when he prostrates?” The worst of the people went and got it, and when the Prophet (peace and blessings of Allaah be upon him) prostrated, he placed it between his shoulders. They started laughing, leaning against one another. I was standing there watching, and if I had had any power, I would have lifted it from the back of the Messenger of Allaah (peace and blessings of Allaah be upon him). The Prophet (peace and blessings of Allaah be upon him) remained in prostration, not lifting his head, until someone went and told Faatimah. She came with Juwayriyah, and lifted it from him, then she turned to them and rebuked them. When the Prophet (peace and blessings of Allaah be upon him) had finished his prayer, he raised his voice and prayed against them – and when he made du’aa’ or asked of Allaah he would repeat it three times – and he said: “O Allaah, punish Quraysh” three times. When they heard his voice, they stopped laughing and were afraid because of his du’aa’. Then he said, “O Allaah, punish Abu Jahl ibn Hishaam, ‘Utbah ibn Rabee’ah, Shaybah ibn Rabee’ah, al-Waleed ibn ‘Uqbah, Umayyah ibn Khalaf and ‘Uqbah ibn Abu Mu’ayt,” and he mentioned the seventh but I cannot remember who it was. By the One Who sent Muhammad (peace and blessings of Allaah be upon him) with the truth, I saw those whom he had named slain on the day of Badr, then they were dragged and thrown into the well, the well of Badr. 13 – Ensuring that one’s food and clothing are halaal. Then he mentioned a man who travels for a long distance and is disheveled and dusty, and he stretches forth his hands towards heaven saying, ‘O Lord, O Lord,’ but his food is haraam, his drink is haraam, his clothing is haraam, he has been nourished with haraam, so how can he be responded to? Ibn Rajab (may Allaah have mercy on him) said: Ensuring that one’s food, drink and clothing are halaal, and that one is nourished with halaal, is a means of having one’s du’aa’ answered. End quote. MAY ALLAH ACCEPT ALL OF YOUR DUAS – AMEEN .